Join us for scenic tours and exhilarating adventures on the Fraser River in Williams Lake BC, Canada. Have an Adventure on the Fraser River…. Doug Green and Chris Harris have teamed up to facilitate a once-in-a-lifetime opportunity to explore, experience, and photograph on one of the world’s great wild, free-running rivers; with an itinerary designed for photography. It will be exhilarating from dawn to dusk. Chris, a working professional photographer, will provide a generous amount of personal attention. You will receive expert instruction so that your images reach a new level of insight and power. The emphasis is on creating more dynamic images by recognizing and utilizing such elements of visual design as line, shape, texture, and perspective. You will also have the opportunity to look through Chris’ viewfinder to see how and what he sees, assisting you in the art of seeing, and the process of developing your own personal style. This 5-day trip will also have a First Nations cultural emphasis, hosted by Douglas Green of the Tsilhqot’in (Chilcotin) Nation. Douglas is owner and operator of Cariboo Chilcotin Jetboat Adventures. Douglas will share stories and his history as he takes us to pre-contact village sites, petroglyphs, and pictographs. He will also demonstrate dip-net fishing for salmon, and share the feast in traditional fashion. Few people have seen or experienced what Douglas will share with us, and full permission will be granted to photograph every aspect, in a very rare opportunity for everyone with an interest in cultural history and photography. The 5 day trip “Fraser River Photo Safari & Workshop by Jetboat” was a great success in 2012, so we will be offering it again for 2013. This River Experience and Photo Workshop is a very unique adventure and seating is limited. This area boasts the largest intact grasslands in the world and is a unique part of the bench lands of the Fraser River. View and photograph the largest non migratory herd of California Bighorn Sheep in their natural habitat. As well as bald and golden eagles, black and grizzly bears, mule deer, moose, goats, coyotes, cougar, song birds and water fowl. 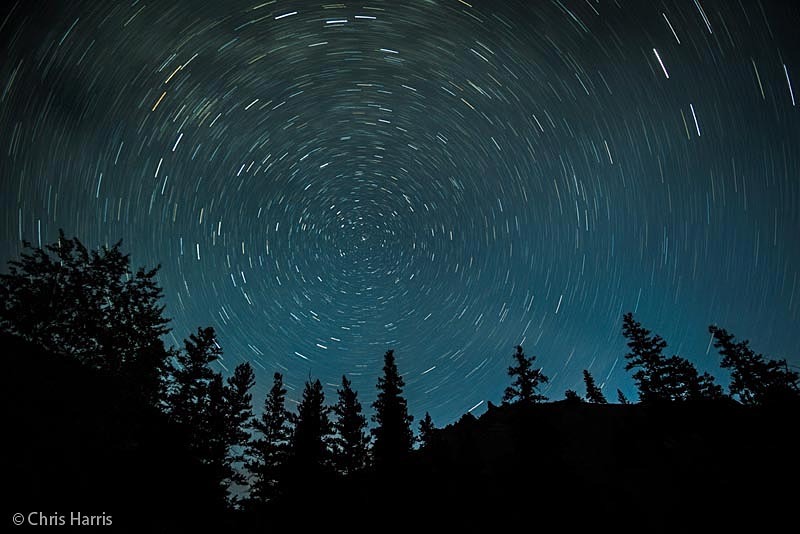 Due to its inaccessibility and remoteness, you will be making images where few have photographed before. The mid Fraser River Canyon lands are spectacular. 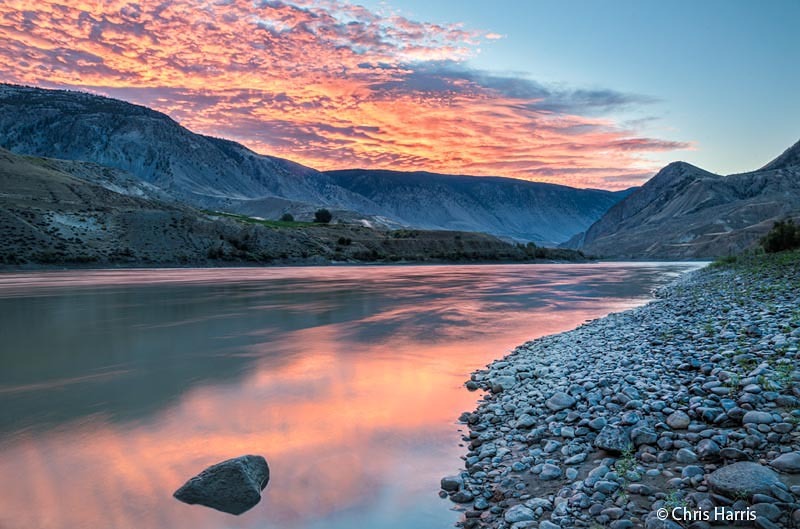 The Fraser River is one of the largest Salmon producing rivers in the world. Guests may try their hand at dip netting for salmon with their aboriginal guide, with full photo privileges. All meals are local, organic (when possible) and prepared professionally. You will be accompanied by your guide, an aboriginal hunter gatherer in his traditional territories. You will be accompanied by award winning Canadian photographer Chris Harris. You will have mini photographic workshops throughout the trip, plus one-on-one instruction. This section of the Fraser River is the most northern desert in North America that features many micro climates. 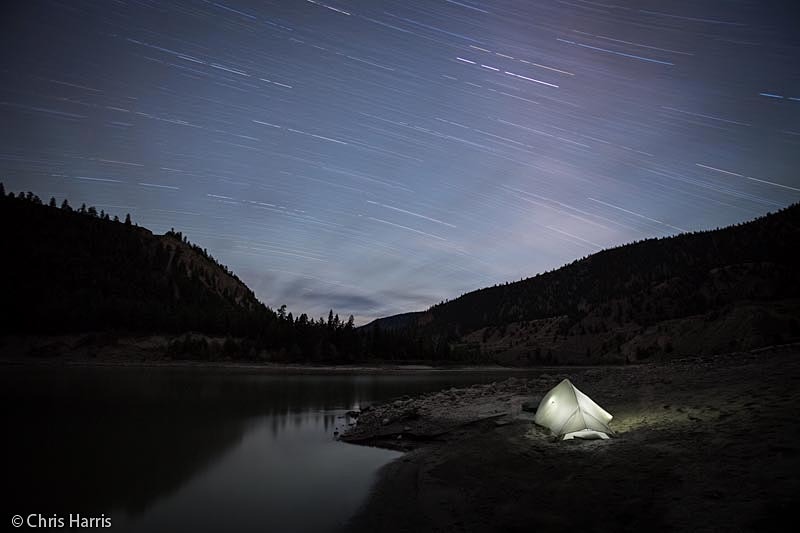 This 5 day trip is not just any river experience, first of all you are exploring a section of the Fraser River that is still retains its raw wilderness, no communities, railways or highways. 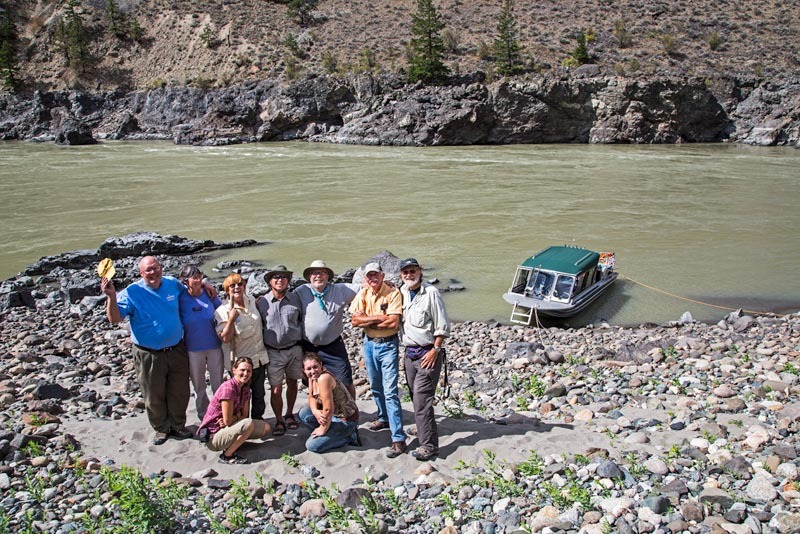 While on the Fraser River with Cariboo Chilcotin Jetboat Adventures, your guides will take you back to the various time-lines of history that has helped shape British Columbia. This area is also home to the largest non migratory Bighorn Sheep in the world and the largest sockeye salmon runs in Canada. 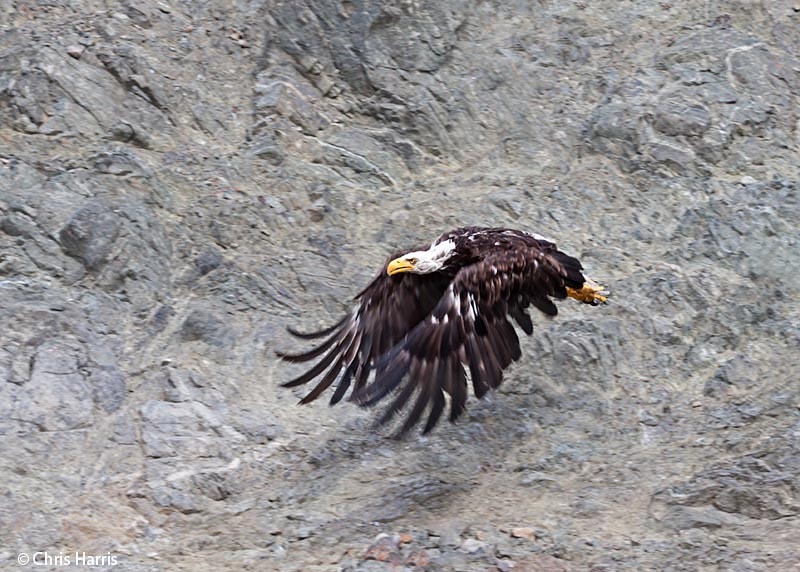 These large salmon runs attract a large number of Bald and Golden Eagles, bears, coyotes, foxes, river otters, herons, hawks and smaller animals. There is also a wide variety of plant life along the Fraser that your guides will be happy to tell you about. Some guests that have been on the trip have called this, “a trip of a lifetime” and others a “spiritual journey”. This trip has left people feeling overwhelmed with emotion and have a great respect for the Fraser River and the life it supports. Do some research on the area…. We have a lot of information on our website that will get you started you can find numerous books at your local library as well on the Internet. Also be sure to read over your trip itinerary as it has a lot of great information available to you. Make sure to build a good relationship with your guides. They are very knowledgeable and will be able to answer your questions. If you would like to discover an area talk to your guides about it, one thing we like to offer to our guests is flexibility; this is what makes this trip a one of a kind! Get outside your boundaries sometimes you make phenomenal discoveries. There are not too many places where we can escape our technology filled world. You can leave your cell phones at home when you book this adventure, as they will not work while in the canyons of the Fraser River. When you come out with us on the Fraser River it is like stepping into another world where you leave, technology, long line ups and flashy signs behind and the wilds of the Fraser River canyons captures your emotions and imaginations. This is a place where you can slow down, discover yourselves and reflect on what is really important to you!